Sailor and Author Kitiara Pascoe. Welcome to Episode 104 of The Shooting The Breeze Sailing Podcast (STBSP)! This episode we chat with Sailor and Author of the new book “In Bed With The Atlantic,” Kitiara Pascoe. Kit, as she is sometimes called, spent a few years as a young woman from the UK, sailing across the Atlantic, around the Caribbean, Central America, and then back. 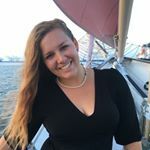 She is a travel writer and blogger, and has written many magazine articles about lots of trips to lots of places, as well as sailing trips and tips, and the new book. You can check all this out at her website, Kitiarapascoe.com. 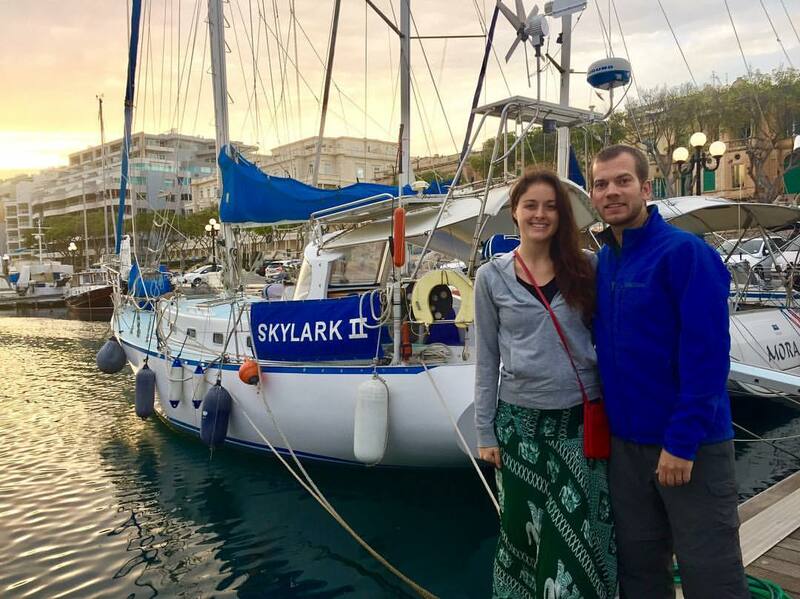 We chat about the trip in detail, about how without much experience she got her feet wet sailing, taking off without much of a plan, and how deciding to take off for a big trip across the Atlantic can impact your life in different ways. We talk about her blog series on “Boat Hitchhiking,” her other travel and adventure stories, as well as her work as a Ghost Writer. You can find more information about the Ghost Writing process and hire Kitiara via The Literary Lifeboat. We also give a quick update from the Spring Open House at Annapolis Yacht Sales, where they are premiering the First US Built Beneteau Oceanis 46.1 on March 23rd, 2019. The event starts at 10am and will feature speaker Kate Dawson, Boat tours of the new 46.1, as well as Brokerage and other new boats on the premises, refreshments, raffles, etc. The event is rain or shine and open to the media and public. Welcome back Captain Gino! This episode we check back in with former guest Captain Gino Garofalo with his new book 101 Tips for a Breezy Lifestyle! We spoke with Captain Gino a year and half ago and learned about his website and his Facebook group “Sailing, Life’s a Breeze.” This time we follow up a radio interview he did in the local Atlantic City, NJ area with more in depth conversation about how folks who aren’t necessarily sailors can experience the Breezy Sailor Lifestyle. What are the benefits of getting out there and experiencing adventure and excitement away from the throngs of tourists on the big new Cruise Ship or All-Inclusive, get on a boat, do some sailing, experience local flavor, head into town, take your time, get back to the boat with your kids or your friends and spend quality time in the anchorage, moorings, or marina. Also in the intro of this episode we pay some tribute to sailor Cliff Kyle, a veteran who was disabled who was trying to get his new boat back down to Florida. He spent the past two seasons making his way south through a variety of issues. Having landed in Wanchese, North Carolina for Hurricane season, he set about tackling some of the issues with the help of many folks, both local and via Facebook Groups. I think he found a place he liked, but before he could move on, he passed away on Feb, 10th, 2019. Please read his Obituary and also consider donating to a Gofundme. Hey folks, I know its been a minute since I’ve posted anything up resembling an episode of this music podcast. This isn’t really an episode, well kinda. It is a recording of an air shift I recently did as an Alumni Fundraiser for WIXQ 91.7FM, Millersville University Radio 917theville.com. I did a radio show back in 1992, and used to play mostly local music and some alternative. This time around I play some sailing related songs, some local stuff, and just obscure stuff I love, mixed in with a few songs I used to play back in the day…..
Chris Smoker, Jeffrey Wettig, and Nora Seggel back during the Sippy Cup race in 2017. Holy Moly, we made it to Episode 100 of The Shooting The Breeze Sailing Podcast (STBSP)!!!! Thanks to ya’ll for listening over the past 5 years! I want to thank all of my listeners, but also those over on Patreon that help Support the show and also those of you that have reached out and sent along notes of support and interest! I mention Scott, Robert, Michael Kevin and Dave in the intro, but I forgot about the nice note Doug from Western PA sent me! I’ll mention it next time! This Episode represents so much for me, and I had grand visions of doing all sorts of cool stuff to celebrate. Alas, it ended up being a long, two hour, meandering conversation over the Dining Room Table on NYE 2018 with my better half Nora and our erstwhile Co-host, Mr. Chris Smoker. I had thought about talking about where we’ve been on the pod over the past 100 episodes, but generally recap where we are at with Lissadell, the lack of sailing the past year, where we hope to get in the new year, some of the sailing flicks out there, and sailing media in general. My lack of being able to have mainstream media pay attention to sailing more, the failure of my tweets and posts to go “Viral” I suppose, and many, many other things….. It’s a bit noisy in the house, so I apologize for that, and I’m hearing myself talk over my guests way too much, and with too much velocity in my voice, and something in my throat apparently. Sorry for all that, but I hope you enjoy it, and tag along with us for the next 100 episodes! Tom Raidna all geared up for some Sailing! Welcome to Episode 99 of The Shooting The Breeze Sailing Podcast (STBSP)! 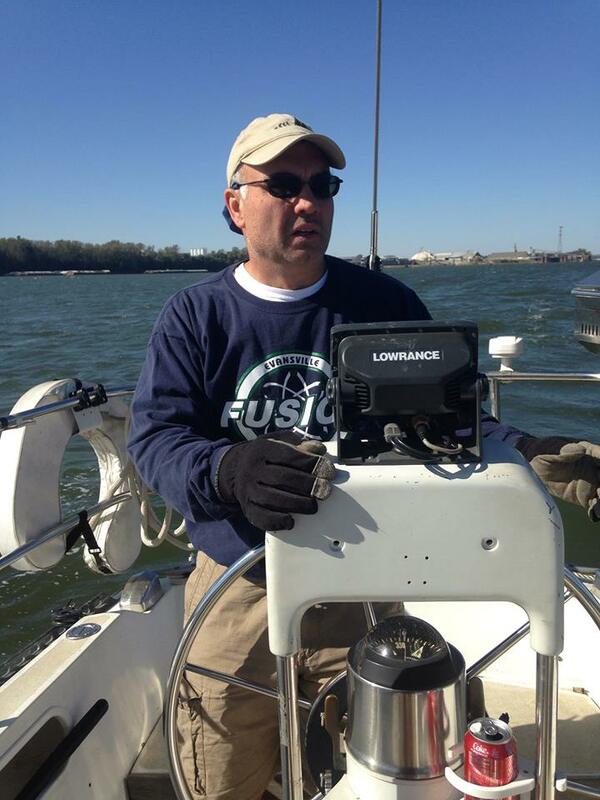 This Episode is our chat with Pittsburgh, Pa area sailor and fan of the show, Tom Raidna. He sails a Precision 18 on Lake Arthur, north of the city, and last summer, after sailing for almost 25 years, decided to take some ASA classes. We talk about how he decided to finally make the jump into the ASA world (American Sailing Association), what he expected to learn, what he actually learned, and whether or not it was worth the time and money. He guides us through his experience learning about the classes, where they are held, where he decided to take them and why, what kind of boats they used, and his plans to possibly take more classes next summer. If you have direct questions for Tom, email me theescapepods@gmail.com, and I will forward you along to Tom directly. 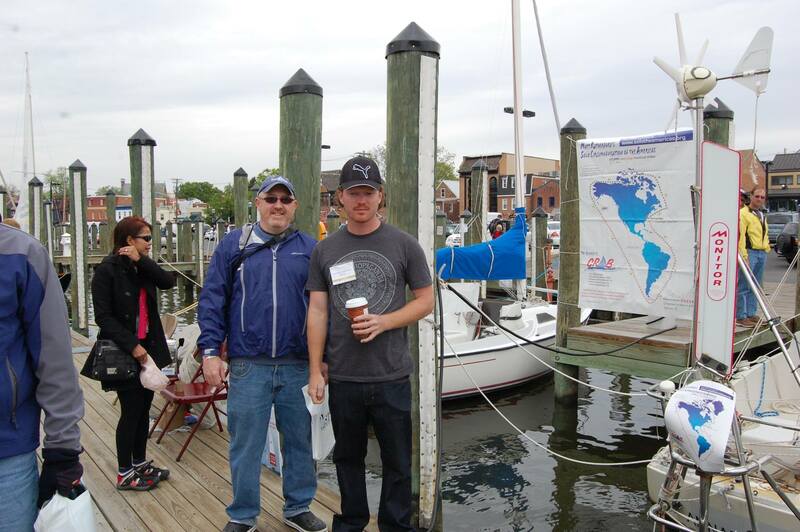 I met up with Tom in person at the Annapolis Sailboat Show back in October, it was great meeting up with him. He also got his Shooting The Breeze Sailing Podcast Tee Shirt, which is extra special! Thanks for being a fan Tom! BTW, Simon Rumley, Director of Crowhurst did not direct Man on Wire, it was the other guy! Sorry! Karen and Steve Haver from Days Unfurling aboard S/V Soul Shine. Welcome to Episode 98 of The Shooting The Breeze Sailing Podcast (STBSP). This Episode we catch up with Karen and Steve Haver from DaysUnfurling aboard their new boat S/V Soul Shine, just before they sell everything and head off for the cruising life. We spoke to them just after the Annapolis Sailboat Show, and just before heading off to the Bahama’s, where they just now ended up just after the recording of the intro for this episode. 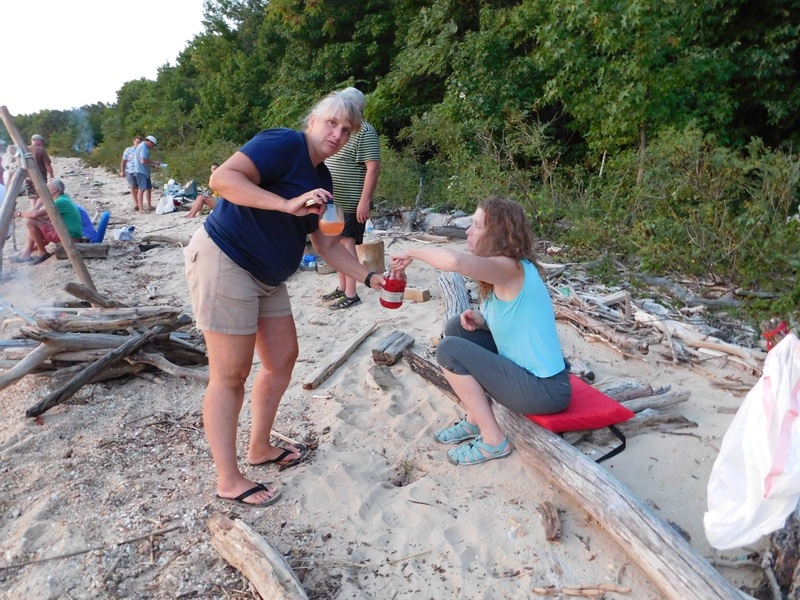 Karen was our guest last year after she put together a crew of ladies that raced in the 2017 Sippy Cup race aboard their old boat S/V Bottom Line. Things progressed quickly as they decided to pull the trigger on selling her, getting a new boat, outfitting it for cruising, selling the house and moving aboard. They both join us this time around and share how they came into the current situation, what to keep, what to get rid of, the search for a new boat, preparing for the outfitting, choosing systems, crew, and keeping GG the Kitty/Admiral happy. You can follow along with them on Facebook and Instagram, under the moniker DaysUnfurling and over at www.daysunfurling.com. 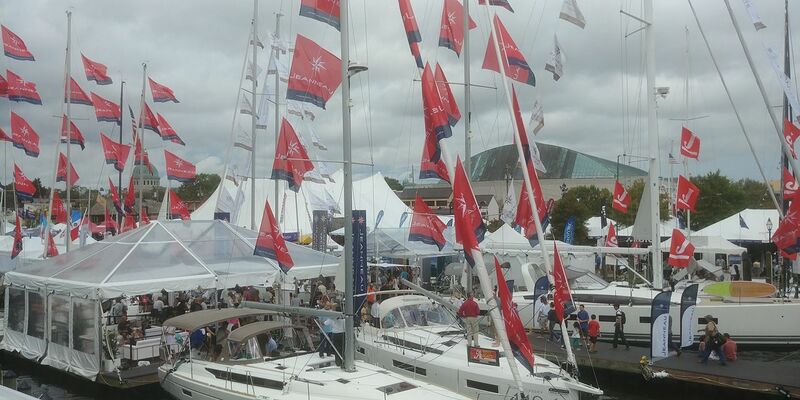 The 2018 Annapolis Sailboat Show, as seen from the Deck Above Pussers. 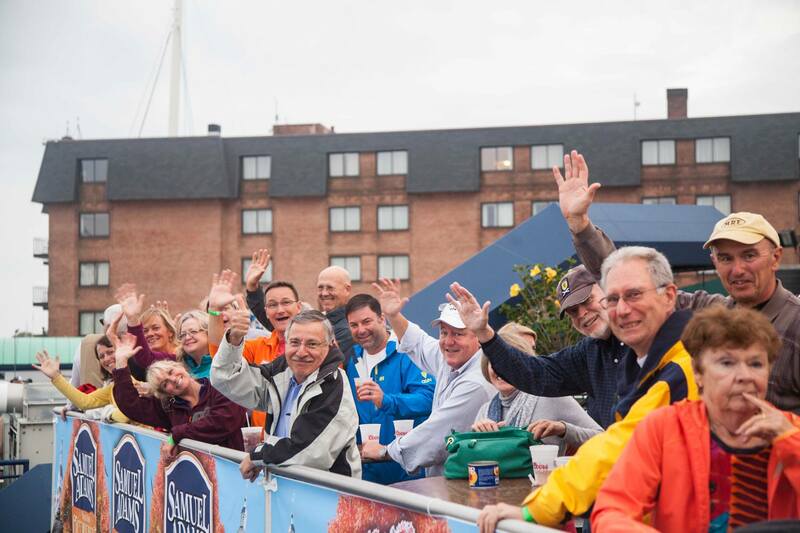 Welcome to The Shooting The Breeze Sailing Podcast (STBSP) episode 97, the 2018 Annapolis Sailboat Show Wrap up, part 2! 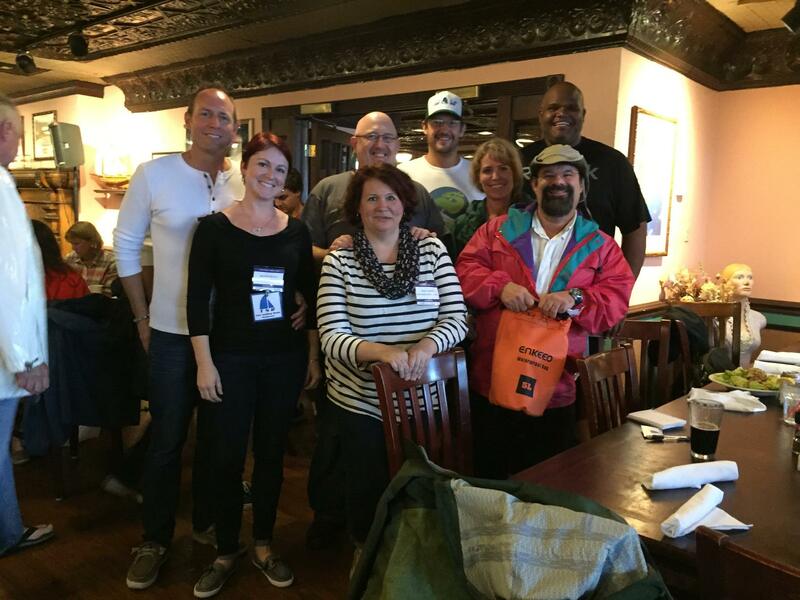 Back in early October we spent a great weekend hanging around the 2018 Annapolis Sailboat Show, held in downtown/Ego Alley Annapolis, got to see some friends and interview some vendors, even had a Pain Killer from Pussers or three. This is part 2 of 2, for episode one, go back and listen to episode 96! This time around we chat with John Franta from Colligo Marine, Craig Summers from Sailtimerwind.com, who has a great Wireless Anenometer that we have a link to over on our Affiliates and Links page, we see whats up with John Heinz from the Leukemia Cup Regatta’s, who just won an award as the top sailor/fundraiser for the three charity regatta’s held in Annapolis every year, we then stop by the Sta Lok rigging hardware booth and talk with Julian and Terrence who are your go to guys for anything traditional wire rope rigging related hardware and fittings, and we finish up by talking with Capt. Michael Pittinger, who we had on back in January, he was at the show manning the Integrity Yacht Sales booth, but we chat about lots of stuff, from boats for sale, how to get your boat ready to sell, getting things winterized, and finishing up the work on Lissadell. I also talk about listening to some other pods, such as The Bonnie Boat Podcast who interview Fiona from Waterborne Magazine, and All Things Sport who chatted with Volvo Ocean Race Sailor Abby Ehler. I was also recently invited to speak at a dinner for the Rockville Power and Sail Squadron coming up on Nov. 14th. I hope that turns out ok, I’ve never done anything like that! Anyway, Like and Share and I hope you enjoy the episode! Kevin, TeddyJ, Brett, Guy, Jeffrey, and Devon from Sea-tech Systems at the 2018 Annapolis Sailboat Show. 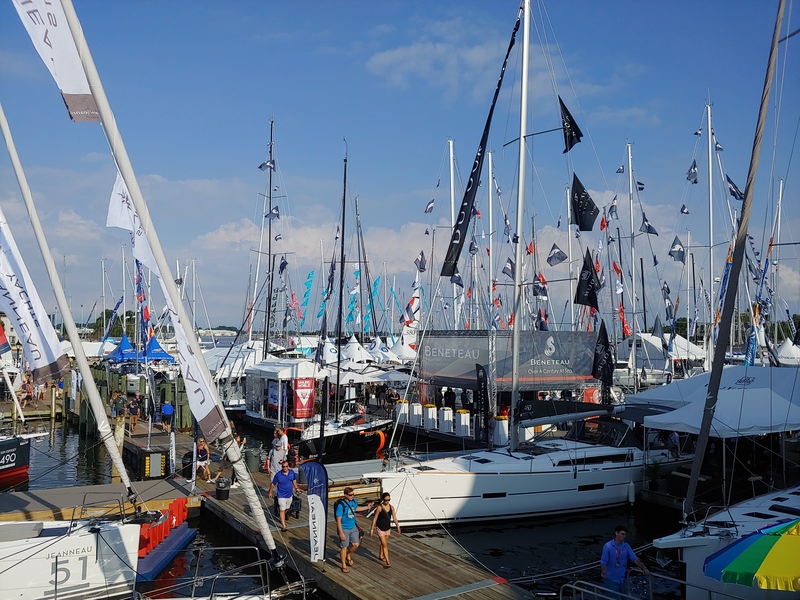 Welcome to episode #96, as we visit the 2018 Annapolis Sailboat Show! This will be part 1 of 2. I did ten interviews at the boat show for the podcast, and we will split them up evenly at 5 apiece. We had a great time at the show this year, got to catch up with a few fans of the podcast, Trevor, Jesse, Kevin, and Tom. Got to hang out with Teddy J from the SailLoot Podcast, as well as attend the 59-north presentation on their Arctic trip with S/V Delos on Sunday morning. Also got to chat with Matt Rutherford for a quick few minutes at the check-in. Saw lots of friends and had a really great time hanging out in Annapolis! If you haven’t been, I suggest you go! Welcome to Episode 95 of The Shooting The Breeze Sailing Podcast (STBSP). This time around we visit an event at the Seafarers YC in Eastport, MD during the big sailboat show, October 2018. They were celebrating Heroes of Maritime endeavors in the Black Community. The event was put together by Carroll Green and other committee members and featured 4 main speakers, Vice Admiral Manson Brown, Local charter captain Rob Chichester, Round the World sailor Captain Bill Pinkney, and Admiral of the Chesapeake Vincent Leggett. The main speakers are led off by special guest Tony Martin Commander of the Annapolis Sail and Power Squadron. After the main speakers finished up speaking and answering questions, Captain Derrick Cogburn introduces the newly found Sea Scout Ship 1959 “Seafarers Commitment” program, it’s leadership and contributors. This is a follow up to last episode, #94, if you haven’t heard it, I encourage you to go back and listen to it. Beau and Brandy from Sailing Saoirse on YouTube. Welcome to Episode 93 of The Shooting The Breeze Sailing Podcast (STBSP)! This Episode we chat with Fans/Patrons of the show Beau and Brandy from Sailing Saoirse on YouTube. A few years ago they decided to ditch corporate lives in Upstate New York, pack it all up, buy a well worn sailboat in Florida, move aboard, then proceed to tear it all apart, start a massive refit, then two years later get started on actually taking the boat out on the water and sailing! Talk about commitment to a dream! They have big ideas, big dreams, and aren’t going about it the easy way. A 1970’s Pearson 35, new electric motor, batteries from a Chevy Volt, solar arch, complete exterior refit, new used sails, and far reaching goals of sailing the Islands this upcoming season is a great recipe for a fun and exciting video series. Oh, and don’t forget the Dog, Oona! Hey Everyone! 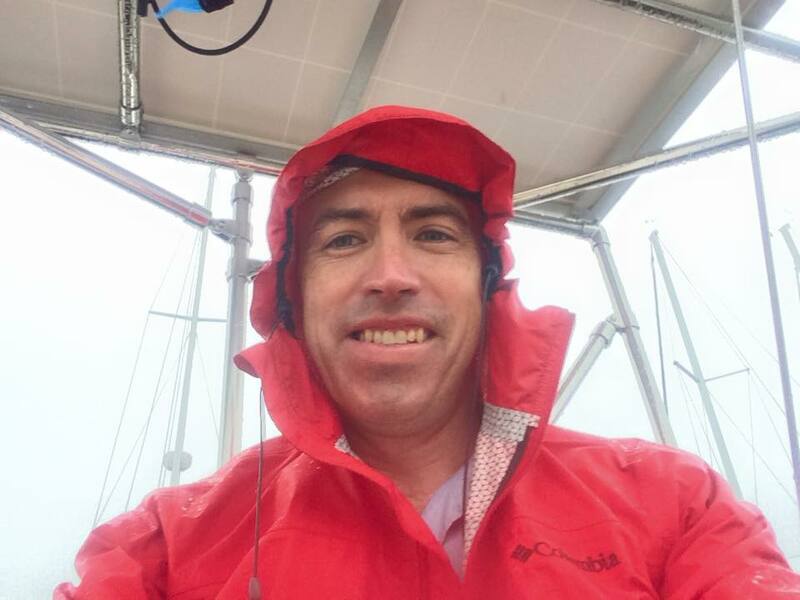 Welcome to a new episode of The Shooting The Breeze Sailing Podcast (STBSP), Episode number 92 with guest Author/Journalist/Editor Peter Swanson. He’s been a sailor for a long time, writing about boating in various places including many Active Interest Media titles including, but not limited to PassageMaker Magazine. They are bringing Trawler Fest and Boaters University to Baltimore Inner Harbor in September, the 25th thru the 29th, and we chat about the comparisons between Sailing and Trawlering… The advantages of doing things like the Great Loop and the ICW in a trawler, vs the cost disadvantages in terms of entry into the Trawler Universe. He is also something of a Cubaphile, and we chat about recent changes in our ability to visit the country by boat, why there are brand new, completely empty marina’s there, and how Castro co-opted another mans dream of refitting an old motor yacht (Granma) left behind by an American Tycoon in Mexico, and started a revolution with it. Welcome to episode 91 of the Shooting The Breeze Sailing Podcast (STBSP). 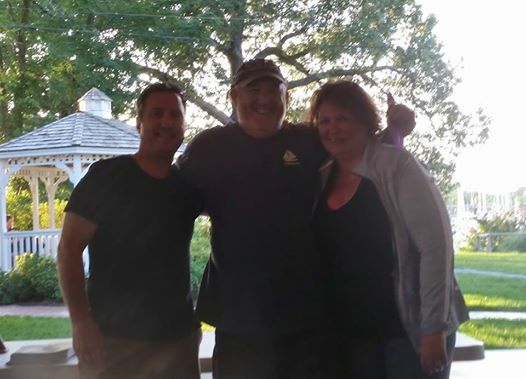 This time we chat with my Better Half Ms. Nora about things, and an update on S/V Lissadell, along with some yunes from the HPYC front porch a few weekends ago. “What Difference” from Ed Dwornick, with guest players Josh, Mike, and Robert, and a cover of “Don’t Know Why” by Nora Jones, fittingly enough…. I wasnt sure whos song that was when I put the episode together, otherwise I would have said something. Great times! Tune in, Like and Share! Thanks for your support! 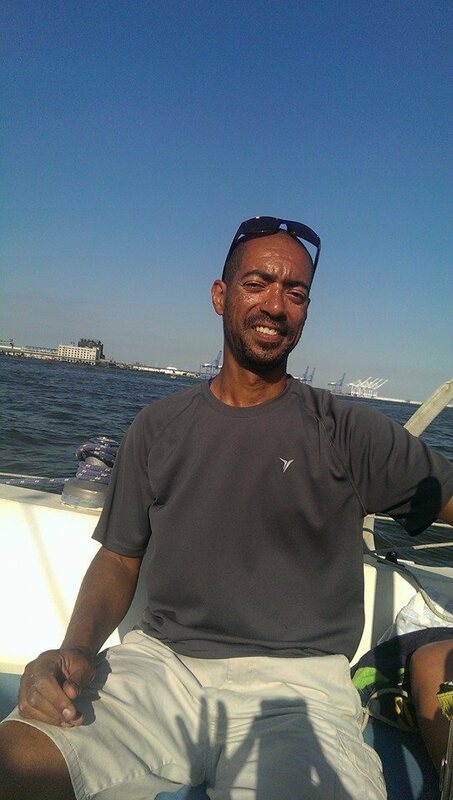 Marcus Asante of Marine Arts Workshop sailing the Chesapeake Bay. 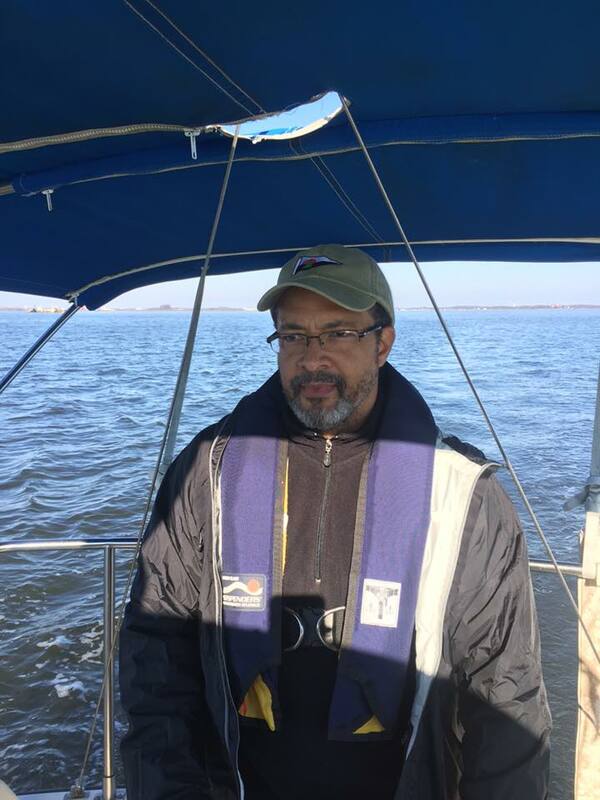 Welcome to this episode of The Shooting The Breeze Sailing Podcast (STBSP), number 90, with friend of the show, former guest, Baltimore Sailor, Musician, History Buff, and Community Leader, Marcus Asante. 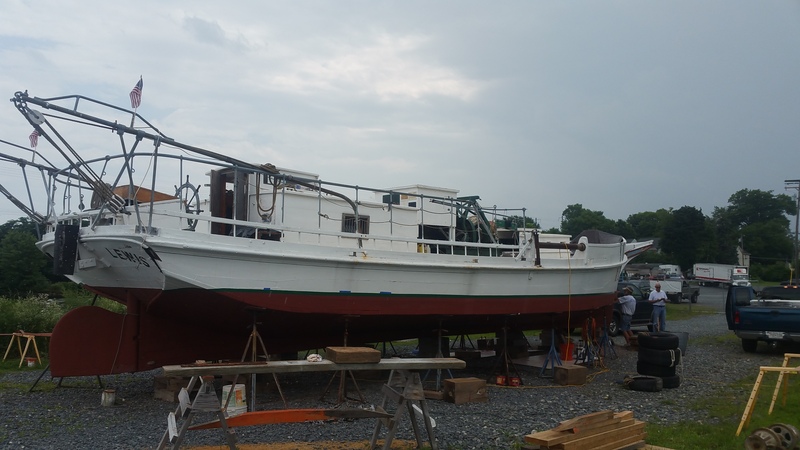 We chat about many things, including an upcoming event Marine Arts Workshop and Richardson Maritime Museum in Cambridge, MD are holding on August 4th and 5th that will feature hands on boatyard work combined with a fun sailing regatta for 15 young people from the community. 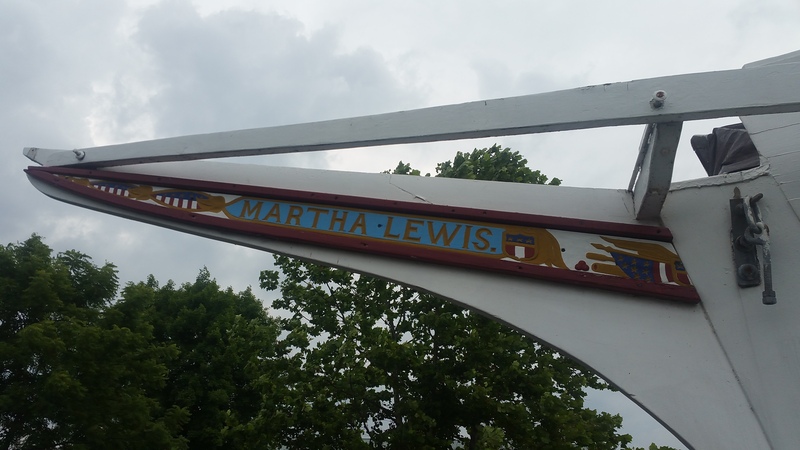 The event is called the Underground Railroad Freedom Regatta Weekend. There is a bit of an update on boat projects, some talk surrounding the Paceship PY26, The Volvo Ocean race, and much, much more. It’s a fun and long chat I enjoyed very much! On a personal note, I hope to be floating, and not sinking, by the end of this week. I knew this project would be tough, nobody ever really speaks to the stress and frustration projects like this force you to deal with. On one hand, this took way longer than I thought it would, but on the other hand I can’t believe more than six months has gone by, but hopefully the spending will go way down, and the enjoyment factor will go way up, all very soon! There are still a ton of projects to be done, but hopefully they can be balanced out with some fun in the sun and on the water and on the wind. We’ll talk about it all soon enough! S/V Lissadell gets the Once Over. Greetings folks! In this episode we answer a few emails that I have gotten over the past coupla months, talking about some of the great anchorages and places to visit in the upper Chesapeake Bay area, and we also have an update on the re-commissioning of S/V Lissadell. Welcome to Episode 88 of The Shooting The Breeze Sailing Podcast (STBSP)! This Episode we chat with Sailor, Captain, Author, Blogger, Rum Drinker, and Daydreamer, among a few other things, Annie Dike! She’s Back, for her third interview following up her sailing season in the Bahamas! 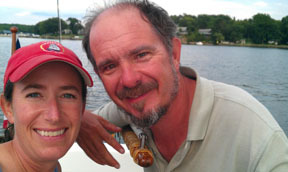 Her and Philip, aboard their Niagra 35 “Plaintiffs Rest,” voyaged from Pensacola, FL to Key West, to the Bahamas and back over the course of 5 months, taking a month off and leaving the boat in Marsh Harbor. She is also celebrating a sailing Milestone, so check it out! You can find her, Author Annie, Video Annie, Podcast Annie, and now Mystery Annie over at her blog site, Have Wind Will Travel! There’s also a few minutes on the progress of commissioning Lissadell, my new 1987 O’day 302. It’s not done yet folks…..
Cannon fire from the Opening Day Ceremony at HPYC, 2017. Welcome to Spring 2018! It’s finally here……. This episode we get an update on the re-commissioning of Lissadell, a new Facebook group to hang out in, the Hances Point Yacht Club Opening Day ceremonies, with procession, Cannon fire, Burning of the socks, and some music. It’s like the 4th time we’ve done this on the podcast, so some of it will be a bit familiar, but there’s some new jokes, so there’s that! And some New Music, a song called “Timber To Ashes” from my favorite singer/songwriter, David Ford, about the burning of Havre De’Grace, and a Grateful Dead tune from North East Corners. I missed recording the set from cover band Marlboro Road, but we had fun nonetheless!. I have some video of the whole affair, check back on YouTube to see if I get around to posting anything on it! Welcome to episode 85 of The Shooting The Breeze Sailing Podcast (STBSP) featuring yours truly and a chat about money and almost free boats. 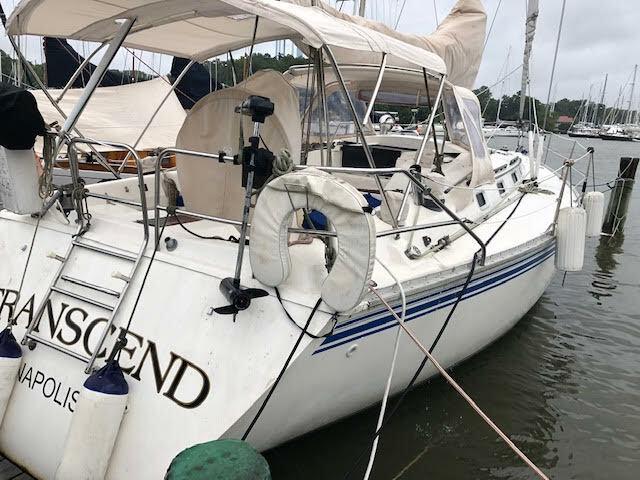 I go into some detail about the finances behind getting an almost free boat, what the budget is, how much I’ve spent so far, how I’m hoping to “Break Even,” so to speak, and how I came to be the new owner of “Lissadell” a 1987 Oday 302. I repeat myself a few times between the intro and the actual talk, so sorry for that. I actually recorded a version of the talk once during the snowstorm that hit PA on the first day of spring. I didn’t like that version, so I re-recorded it as I drove down to the boat on Sunday the 25th of March 2018, so there’s some background noise and what not that you may have to endure, but I think it sounds pretty good considering. Matt looks Thrilled to meet me in 2011 at the Annapolis Spring Sailboat Show after his return from his Around The Americas trip. Greetings Sailing Podcast fans! This episode of The Shooting The Breeze Sailing Podcast (STBSP), number 84, features our Fourth, not third as mentioned in the episode, conversation with Round The America’s Sailor and Ocean Research Project founder, Matt Rutherford. We sit down with him at his David Walters Yacht Brokerage office at Port Annapolis, in Annapolis, MD, and have a long chat about the status of the organization and some potential exciting news, his new sailing podcast called Singlehanded Sailing, some current events about the couple that lost their boat on the second day, whereby Matt almost lost his first boat on the first day, and much much more. 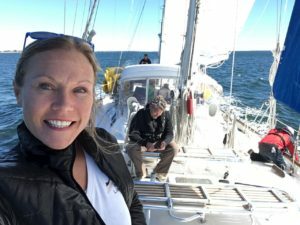 Welcome to episode 83 of The Shooting The Breeze Sailing Podcast (STBSP) with our guest Vicki Hurt of the Annapolis Sailors Network (ASN). 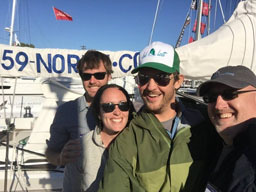 The Annapolis Sailors Network grew out of sailing meetup groups of disparate sailors in the Annapolis area that were looking to get out on the water. 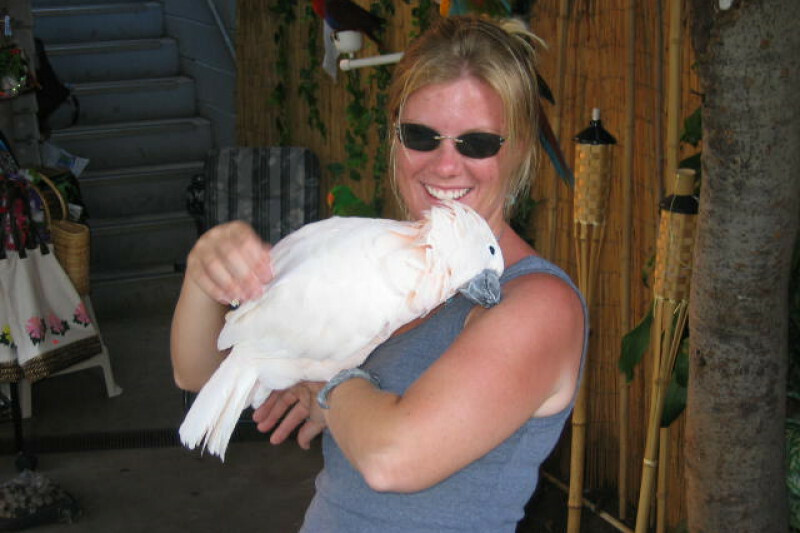 Vicki grew up in the Upstate New York area, spent time sailing on the Great Lakes, and wound up in the Annapolis area, did some sailing offshore and on the Bay, before ending up living aboard. 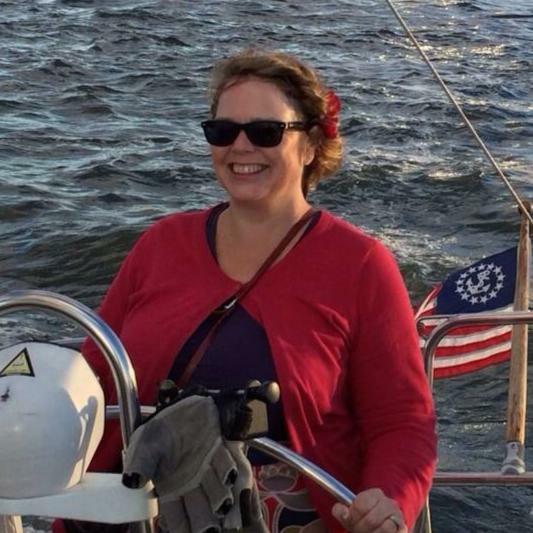 Wanting to make connections in the sailing world prompted her and others to set up some sailing meetups, which transitioned to a more organized group and eventually into the Annapolis Sailors Network. She is looking forward to exploring the bay further this coming season, and the Network will have plenty of events and meetups. The ASN also has a Facebook page for you to check out. Its a great group of sailors looking to sail, network, and support other sailors. 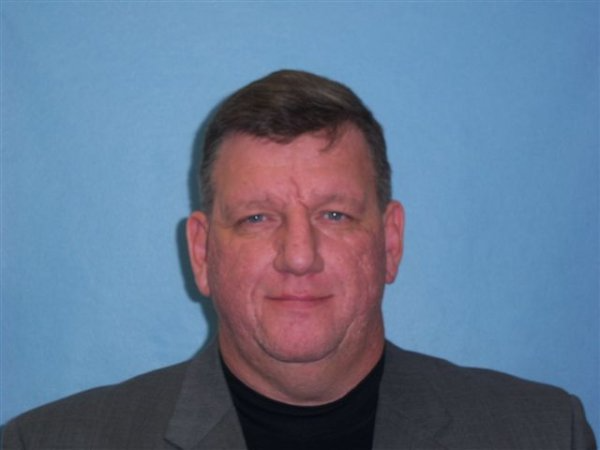 Welcome to episode 82 of The Shooting The Breeze Sailing Podcast (STBSP) featuring part two of our sit down chat with Captain Michael Pittinger from The Big House in Red Lion, PA. There is some great practical sailing advice from an experienced skipper and sailor! Geographically speaking, Michael is the closest Sailor to me, being just across town. He’s a gentleman of all trades, being a sailor, captain, broker, former Submariner, IT guy, metal and woodworker, and not least, husband and father. We chat about how he came to sailing, some of his voyages as captain of his own and a member of Singles on Sailboats, getting hit at anchor by a fishing boat, keeping a proper ships log, how he came to be a delivery captain, some best practices for owners, and a bit about being a yacht broker for Integrity Yacht Sales. Fan of the show Rory Finneren and his wife Kara have a new to them CS 36! They invited me aboard at Port Annapolis back in December to chat about their sailing history, the new boat and new sailing plans. As we post this episode, hopefully they are staying warm and avoiding major winter storms, but prepping to set off for southern environs. They’ve lived abroad, ashore, onboard, and done some amazing adventures. Rory did some major blue water deliveries and races, including the RORC Caribbean 600 aboard Isbjorn with Paul Exner and Andy Schell. 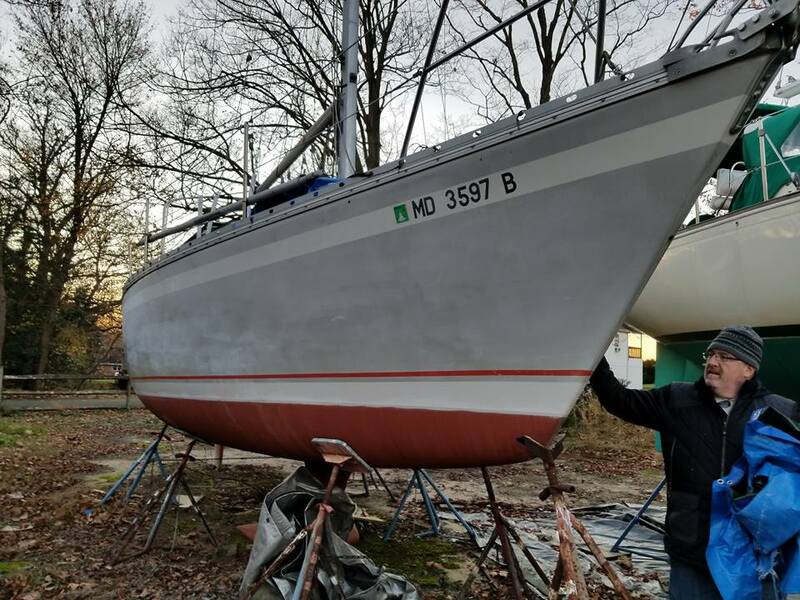 They helped deliver a boat from Tahiti to Alaska, and actually bought a boat in the Med, before a change of plans brought them back to Annapolis. Back in the day he sailed his family’s daysailor on the bay, after a childhood spent on lakes in Michigan. They are just getting started on their new journey, which may include blogs and vlogs, but for now you can follow them on Instagram. Spinsheet Editor Molly Winans (center) and Senior Editor Kaylie Jasinski (right) sailing aboard the Sandbagger Bear. Welcome to the Holiday Edition of The Shooting The Breeze Sailing Podcast (STBSP)! Well, sorta. 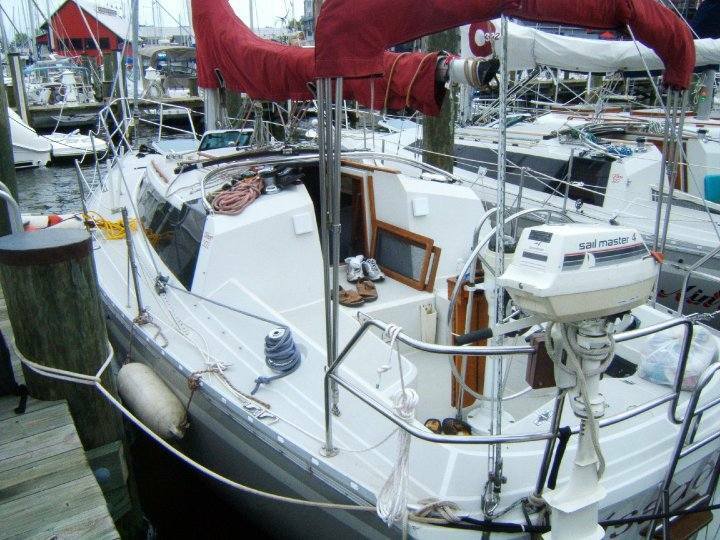 This Episode, yours truly speaks at length about his newly aquired 1987 O’day 302 named Lissadell, thanks Tim and Debi! (Beware of the “Free” boat!) and we speak with long time Spinsheet Magazine Editor Molly Winans about many things, including how she found herself in Annapolis, MD, what Frostbiting is all about, the Chesapeake Bay Racing scene, and last but not least, some great nautical Christmas and Holiday gift ideas! Spinsheet covers sailing on the Bay, from stem to stern and beyond. With some cool features such as Blue Water Dreaming, sponsored by M Yachts, to the racing scene coverage, cruising destinations far and wide enjoyed by readers, to the Bay specific topics such as Skipjacks and Log Canoe races as well as See The Bay sposored by Dream Yacht Management, to crew listing parties, and the century club, bio’s of Bay sailors and boaters that spend over 100 days on the water (Our own former guest Sarah Ryan Hudson is among them! ), this magazine features so much great sailing content. Welcome to Episode 78 of The Shooting The Breeze Sailing Podcast(STBSP) from The Escape Pods Dot Com! This episode we chat with Atlantic City Sailor, Traveler, Foodie, Restaurant Owner, Wine Maker, Olive Oil Aficionado, and Blogger Captain Gino from the Life’s a Breeze website over at www.captaingino.com. There you will find content he produces, such as interviews with sailors and cruisers, photos and recaps of some of his personal travels around the globe, as well as posts from across the interwebs that pique Captain Gino’s interests that range from music to motorcycles and all in between. He’s a super interesting guy and lots of fun to chat with. If you are traveling through the Atlantic City area, or stopping off on your offshore voyages past New Jersey, make sure to give him a shout! Welcome to the 77th episode of The Shooting The Breeze Sailing Podcast (STBSP) and part 2 of our 2017 Annapolis Sailboat Show wrap up. In this Episode we chat with Lin Pardey, Nica Waters, Joan from SSCA, Behan Gifford from Sailing Totem, Carolyn Shearlock of TheBoatGalley.com, Etienne From ATN Inc., Scott Farquarson from Proteus Yacht Charters, and finally Matt Grant from Sailrite. Aside from a few minutes of Left Leaning Political talk with Etienne, this episode is chock full of sailing chat that I hope you enjoy! The 2017 Annapolis Sailboat Show. Welcome to episode 76 of the Shooting The Breeze Sailing Podcast(STBSP). This will be part 1 of 2 for our 2017 Annapolis Sailboat Show held at the beginning of October. The interviews for this episode will be Andy Schell from 59-north, Yves Gelinas, Jake from World Cruising Club, Brittany from Windtraveler, Jeff from Return To Seasons, and Wendy Mitman Clarke who wrote a Bay based novel called “Still Water Bending.” It was a great time and we will have more great interviews on the next episode! Karen Haver at the helm of S/V Bottom Line. Greetings podcast fans! This Episode we try out a new microphone for our introductions and chat with Karen Haver of S/V Bottom Line, which she owns with her husband Steve and keeps in Havre De’Grace, MD. They ran the 2016 edition of the Sippy Cup with two of Steve’s Thursday Night Racing buddies, and she decided that this year she was going to run the race with an all women’s crew from the Tidewater/BaySail/Havre De’Grace home base. 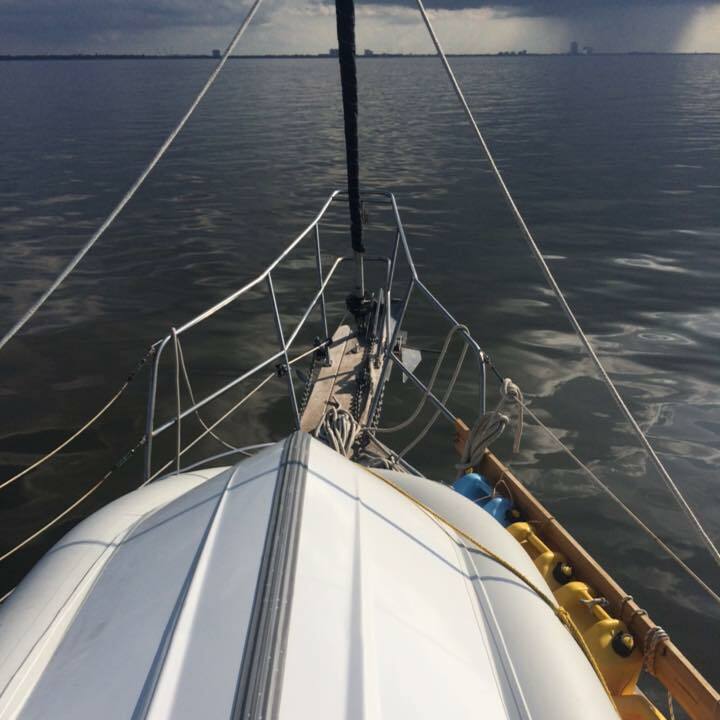 She’s learned a lot about sailing in the past three years aboard S/V Bottom Line, and in the classes taken in the years prior, but she had never skippered the boat alone or with crew, much less in an overnight race. They were well fed, had a blast, finished the race, learned and experienced a lot during the race. Karen and Steve hosted me aboard on a Sunday afternoon and we had a great time chatting about the race, the women, and future plans. Check out Baysail, the Women Who Sail, and The Magenta Project. 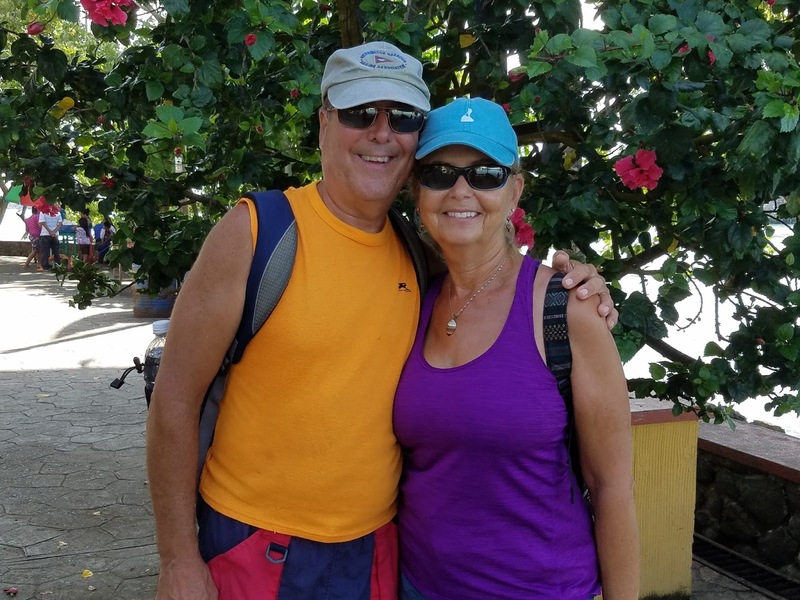 Maris and Linda Eshelman out Cruising the Western Caribbean. Welcome to this episode of The Shooting The Breeze Sailing Podcast (STBSP) Ep. 71 featuring Sailor Maris Eshelman aboard S/V Amekaya. He and his wife Linda are cruising aboard their Island Packet 420. My dad turned me on to him, as they all went to High School together, and I’m always interested in Bay sailors that make the jump to Blue Water! Hear all about the logistics in getting gear and supplies to your Hurricane Hole in Guatamala, sailing the Western Caribbean, and how you get there from here! You can follow along at http://amekaya1.blogspot.com/p/about-us.html. You can also hear me blather on about preparations for this years edition of The Sippy Cup Race sponsored by Walden Rigging, whereby we sail from the North East River on the upper Chesapeake Bay all the way to Annapolis, overnight. This episode we visit our 2017 opening day party at Hances Point, with an interview of one of my most fun boat club buddies, Tom Kennedy. It’s always a blast to chat with him, telling tall tales and lies, or are they true? Cracking wise and always with a story to tell, I was unaware of some of the offshore voyaging he’s done in the recent past. We were chatting for a half an hour before it dawned on me that we should be recording this. He’s a salty sailor, a character for sure, a history buff, and our house drummer when it comes to parties like this one! Burning of the socks 2017 at HPYC. We go towards the fire with socks in our hands as us Hances Point SWOGs burn our socks for the equinox, or some such like it, raise the flags, and set off some humongous booms from the field artillery pieces brought by our civil war re-enactor friends. See the blog post here! Our musical entertainment was the band North East Corners, who put on a great show, and hung around after for some hootenanny action. 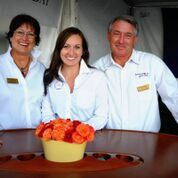 Yacht Broker Paul Matrangola from Tidewater Yachts, Havre D’grace, MD. Welcome to Episode 66 featuring our chat with local yacht broker Paul Matrangola from Tidewater Yachts/Tidewater Marina in Havre D’grace, MD. 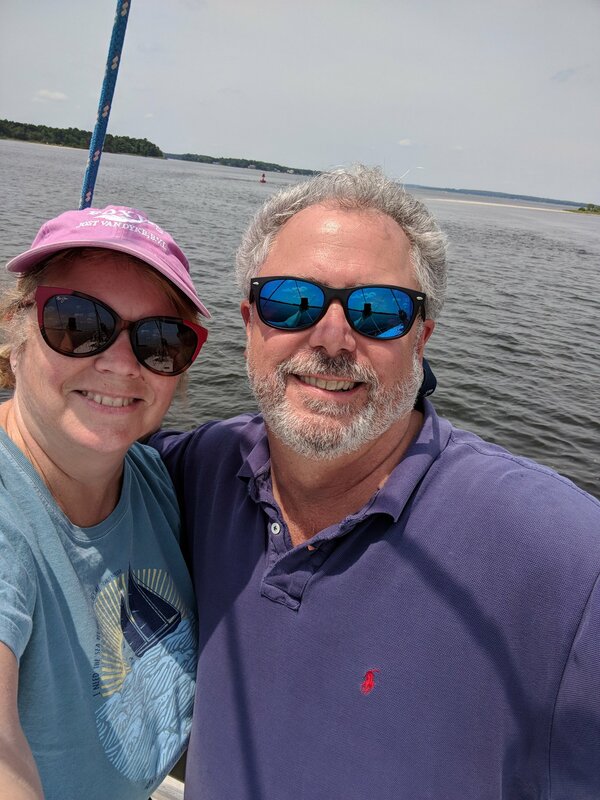 I’ve been getting newsletter emails from Paul and Tidewater for years now, and thought it was high time to go check out what they have to offer and how they operate a yacht brokerage on the upper Chesapeake Bay. He also happens to have my current dream boat on offer in his “Boat Show” style deck showroom, a 1989 Pearson 33-2 named Arrow. I’ve been back and forth about buying this boat for a while now, as evidenced in my chat with TeddyJ on the Sail Loot Podcast a while back. I wanted to check out the boat, but I really wanted to make the connection with another well regarded local sailing enthusiast and industry professional in my local area, Havre D’grace being about 15 minutes down I-95 from North East, and just over from one of my “On the water” haunts, Sand Island. I hope you enjoy our conversation about who is buying and selling boats, what kind of boats are they buying and selling, and what is so great about the upper Chesapeake Bay anyway? Lori Mcdonald wants to sail around the world. 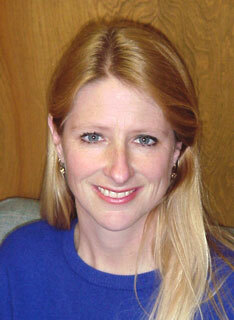 Lori McDonald currently lives in the desert. She wants to go sailing once again. She wants to sail around the World in the 2019 Clipper Round The World Race. Wow! I visited family in Arizona back in February. 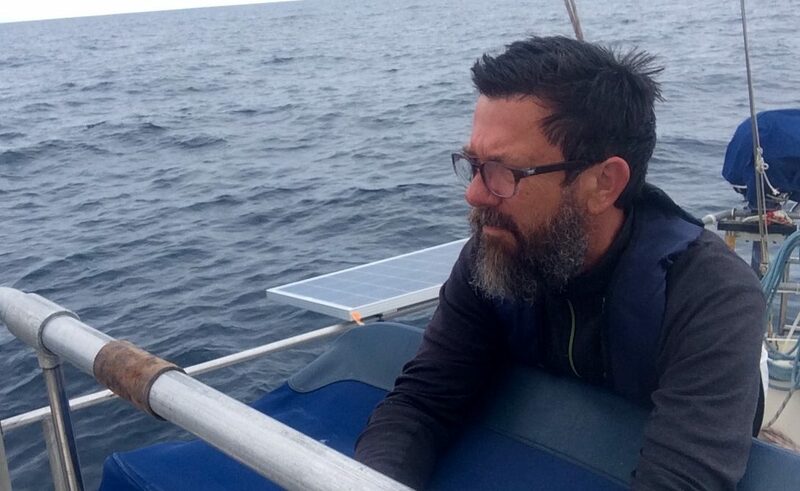 I wasn’t expecting to come away with a Sailing Podcast interview, but I did! Check out Lori, The Barbifer. Listen to the episode, you’ll figure it out! She wants to sail around the world, after spending part of her life as an avid sailor and instructor, she went west and moved to the Desert. She’s kept the sailing dream alive part time, “Puddle Sailing” as she calls it, but now she wants to go big time, and head around the world as crew in the 2019 version of the Clipper Race. You can find her at www.gypsysapothecary.com. You can help fund her trip by donating at www.gofundme.com/circumnavigation. Capt. Scott Wells on the North East River, Chesapeake Bay, MD. Welcome to Episode 64 of The Shooting The Breeze Sailing Podcast (STBSP)! On Episode 64 we have the Irish Jasper Greens over to Hances Point for a St. Paddy’s day party and we sit with Captain Scott Wells on the porch and cross podcast. Scott runs a charter service out of the North East River aboard a C&C 35. A few years back he decided to get his Captains license and start the side business. Having lived in the area his whole life, he is quite familiar with the waters of the North East River. He also started his own podcast, “The Captains Podcast” available via his website, www.sundancemarine.net. There you can also find information about his charter cruises. We also hear a song from the venerable Irish Jasper Greens, singing their version of “Farewell to Carlingford.” You can find them on Facebook HERE! We mention an article I was quoted for that is in the March issue of Spinsheet Magazine! I believe it is on page 34. Welcome to episode #63, our chat with Captain Yannick. In the spring of 2016 Captain Yannick Piart took his crew of three, including our friend Annie Dike across the Atlantic aboard his Performance Catamaran in the spring of 2016. She documents the experience Here! We talk about how he decided to leave his duties in the French Navy as a Naval Aviator and move his family aboard and go cruising. How he found his Catamaran as he was stationed in Pensacola, meeting up with Annie and Phil in the boatyard, how he planned and provisioned for the trip (He was originally going to do it solo! ), as well as details on the voyage, and his plans for the future! Join us for the great conversation! Captain Yannick does not have a web presence to speak of quite yet, if and when he does, we will link to it here! Hey everyone, I was recently a guest on Teddy J’s Sail Loot podcast! 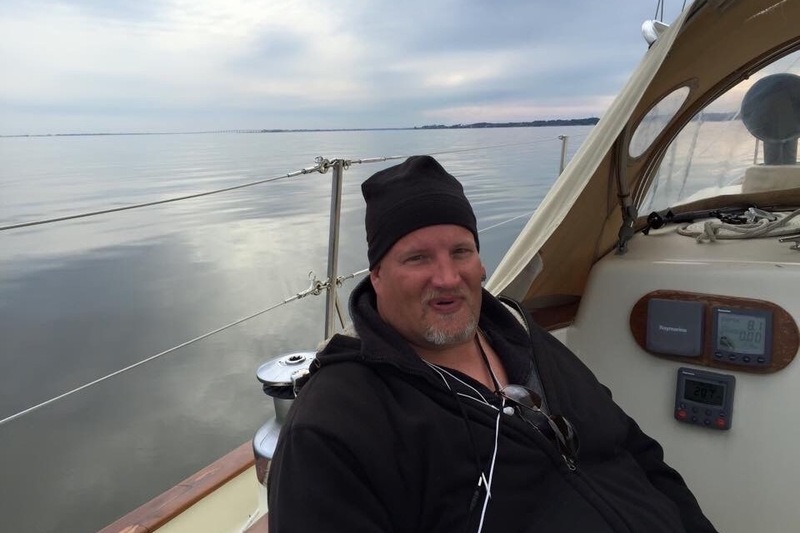 Teddy and I met back during the boat show in Annapolis 2016 and had been emailing back and forth for a while, so it was great to be a guest on his podcast and talk about money and how much it takes to keep a sailboat on the Bay, and do the kind of sailing I do, on my days off and a few weeks a year. Of course we talk about our dreams of bigger and better boats and cruising the islands and far off exotic locations, and how we plan on getting there in due time…. Its a fun conversation, so join us! Follow the link to Teddy’s Sail Loot Podcast! Welcome to Episode 59 of The Shooting The Breeze Sailing Podcast. This episode is part one of our conversation with Skipper Ryan Rayfield of S/V Libra, a 60ft sailboat used in the winter months as an adventure sailing platform in the Gulf of Mexico, Florida, and the Western Caribbean. Recently back from a trip to Isla Mujeras, Ryan talks about how he got into the business of sailing after getting the sailing bug in Tailand and how he came to own such a wonderful Blue Water boat such as S/V Libra. He lays down how his business varies from Winter to Summer, running short day charters in the summer and the longer adventure voyages in the winter. This year they are going to Cuba, Key West, Miami and points south including Roatan! 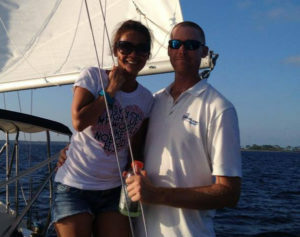 Check out Skipper Ryan Rayfield and S/V Libra at www.saillibra.com. Or his summer sailing business Orange Beach Sunset Sailing. 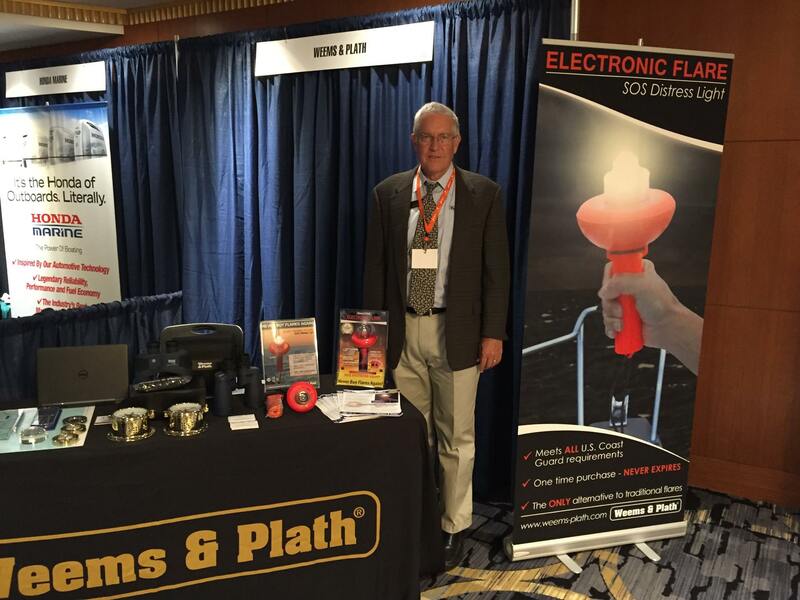 Weems & Plath owner Peter Trogdon wants you to have at least one Electronic Flare on board your boat! Welcome to The Shooting The Breeze Sailing Podcast, from www.theescapepods.com. This episode we sit down with the Owner and Proprietor of Weems & Plath Peter Trogdon. I was purchasing an Electric Flare at the W & P booth at the 2016 United States Sailboat Show when I was introduced to Peter and he suggested we meet up at his office the next morning for a full on conversation about Weems & Plath, its history, products, philosophy, and future. He was nice enough to invite me in and offer me a cuppa joe in a special mug! Join us as we chat about all things Nautical! Julie (left) on an HPYC cruise last fall. 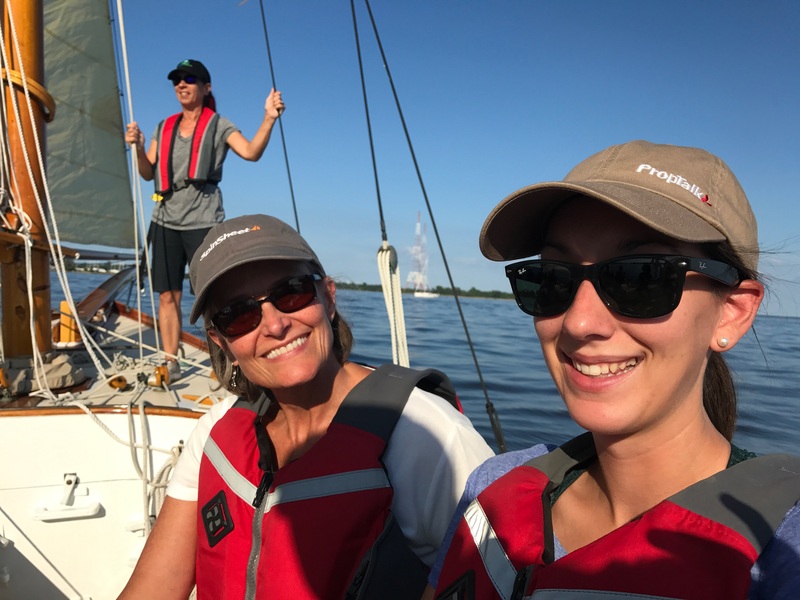 Welcome back to The Shooting The Breeze Sailing Podcast episode 53 featuring friend and HPYC member Julie Tipton who crewed on Eric Forsyth’s Westsail 42 this past spring. She tells us about the trip from Puerto Rico to Long Island, via Bermuda. She also tells us how she got into sailing, the womens learn to sail program she put together recently at the club, and her plans to get her captains license. Rock on Julie! Greetings folks, this episode we are gonna Slow it down for our visit with Na’leans sailor, author, and podcaster Linus Wilson. He has written two books, “Slow Boat to the Bahama’s” and “How to Sail Around the World Part-Time.” We start out with a quick version of “Iko, Iko” performed by Sean Daniels and members of the band “Northeast Corners,” as well as a few Hances Point members, during last weekends opening weekend/Burning of the Socks celebration. 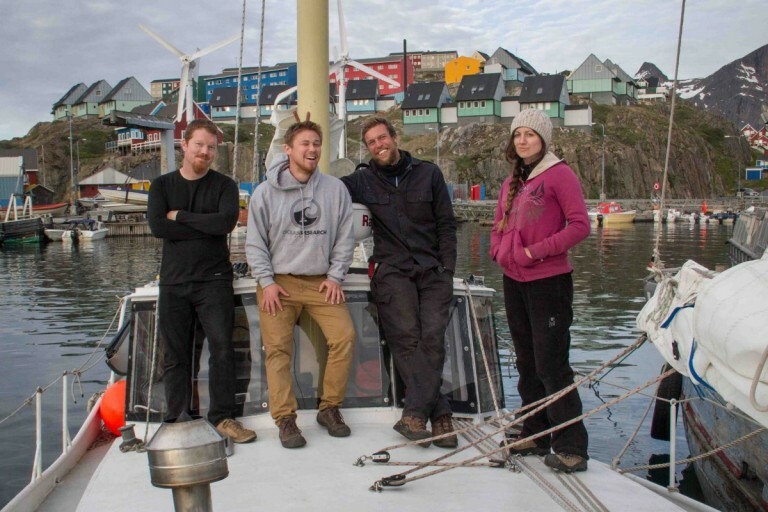 Linus started a podcast called Slow Boat Sailing Podcast and has already had great guests such as world racer and round the world sailor Dee Caffari, and the peeps from S/V Delos, which I’m super jealous of. Just this past weekend he has departed on his Island Packet 31 from New Orleans, headed to Panama via Cuba, as he starts his voyages around the world Part Time! Search for us in Itunes, leave a star rating or comment, Like and Share.